Some of the things I'm digging at the moment. The banana vase is so...shiny...hehe and quite creative actually. I'm imagining it being in my house and definitely being a great starter for conversation (: Thanks for sharing! 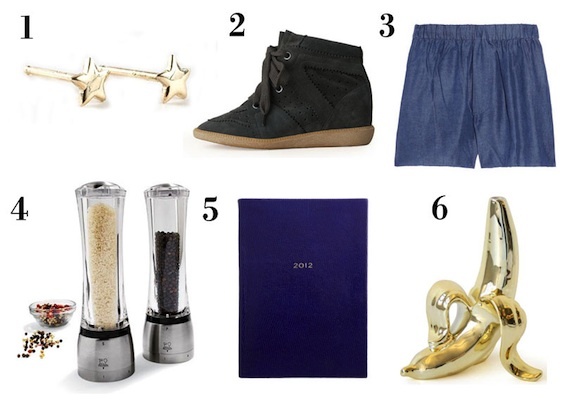 I'm loving your favourite things; especially those Isabel Marants! thanks for the link, carol!